Dealing with confrontations is a highly debatable topic and a lengthy discussion because most confrontational scenarios are dynamic and can change rapidly. What are common risks and challenges of kids going back to school or going away to school for the first time? Much of the time, in grade school, kids deal with verbal confrontations more so than they do physical confrontations. Teacher and grown-up involvement is more paramount during these stages of schooling. In middle school and high school, verbal feuds are fueled by the flames of egos and insecurities. Social media posts and gossip can fan these flames. They can turn from verbal to physical. Parental involvement is not always possible, as kids go often go to and from school by themselves. Once you go into a college atmosphere, you add in the complexity and risks associated with unsupervised party’s, alcohol, drugs, and new-found independence. (This can happen during high school as well….don’t fool yourself). For college-aged students, many may be going away to college where they do not have family or know anyone. This only complicates things further. You may not even be aware of the problems that could arise or escalate, from out of nowhere, especially when controlled substances are introduced. 99% of the time, you may never ever have to deal with a confrontation or a need to use self-defense. But for that 1% chance that something does occur, you want to be prepared. In it’s most simplistic form, in any confrontation, you have three (3) actions you can take. Prevent: Complete avoidance. This is your earliest possible action. Staying away from potentially unpredictable scenarios. Basically sitting home alone. Detect: Complete avoidance isn’t possible at this time. You detect a problem brewing. Further escalation can still be prevented. An example – you are out and about (maybe a party) and someone escalates their behavior in a confrontational or unpredictable manner. Correct: Unfortunately, avoidance was not possible. “Out of nowhere” or “surprise attack” is a way to describe this. Your only option here is to defend yourself. Think road-rage, inebriated (fancy word for drunk) person, or belligerent person. Emotions run high, hard, and fast! So what can you do to start being more situationally aware? You can start working on some skills right now. The first four (4) tools I have anyone work on are skills you can sharpen outside of the Academy, on your own, at any time. 1. Develop your “gut-instinct”: Also known as “Spidey-Sense” for the kids. You should always be on the lookout for the risks and threats in your surroundings. This is crucial to being able to stay on the tail-end of “prevention” and being able detect trouble before it escalates into something. Know where you are going, who you are going with, what the environment will be like at your target destination, and your immediate surroundings at all time. What is your path to and from school? Is it well traveled? Is it lit well at night? Are you going with people you know? When you’re out in public, use your senses (eyes and ears) to read situations and evaluate your options for fleeing or correcting potential problem scenarios. Put down the smartphone. This robs you of your ability to read your surroundings effectively. 2. Let it go: Don’t fall prey to insults, “one-ups”, Yo Mama jokes, people who get under your skin, and combative or belligerent people. It’s all negative energy which has no place in anyone’s life. If that stuff gets to you, it’s your ego that is in the way. There is no room for ego when you need to be the better person. If someone runs you off the road, let it go. You survived. Somebody call you a name? Let it blow by like the wind. Getting them back makes no sense, and you only risk escalating things and getting injured or worse. In other words, take the high road and walk away. For our younger kids, this is a critical skill to develop. It is also where most confrontations begin and end, although they can escalate further. 3. Develop your voice and vocabulary: Don’t seek to “have words” with someone. Use your words to diffuse, deescalate and set boundaries. Escalations usually occur when words run out. Having an extensive vocabulary and being able to remain calm, cool, collected, and composed speaks loudly about your confidence. When you speak, use a strong, confident tone. Your words, body language, and tone will be weapons you can use to help mitigate things getting worse. For younger kids, when your words don’t appear to be working, make sure you tell an adult. Adult intervention should be part of your kids toolkit. You’re teaching them to inform an adult before things escalate further and they need to use more of their tools. For our older kids, once again, if you are verbally attacked and it bothers you, that’s your ego that is getting bruised. If you want to avoid a physical altercation, use your words. Another way to use your voice is to set physical boundaries. For example, if you are out on a walk and you see someone coming towards you, say something to them in a loud and confident tone like, “Hi, can I help you?” or “Are you looking for somebody?” Their reaction may buy you time to have them rethink their plans since you won’t be an easy, quiet target, and also to react by moving onto the next step if needed. 4. Run: If this option is still available, take it. Physically remove yourself from any potential confrontational or escalating scenario. Manage the distance of the aggressor which can minimize the damage they seek to inflict. Establish control, primarily while you remain standing. If needed, end the confrontation with a joint lock or strangle-hold. Additionally, you don’t need to know how to strike and you don’t need to be big and strong. All you need is your brain and the principles behind JiuJitsu which are leverage, physics, and anatomy. Parents of middle-age and high-school aged children: your children should only practice these techniques with and under the supervision of a knowledgeable instructor(s). Our primary goal with children is to provide them with the tools to establish control and negotiate at all staged of the confrontation life-cycle. Submission holds should only be used to protect themselves from significant physical harm or abduction scenarios. Students: Once you learn how to effectively apply these submission holds you need to use them to establish control and negotiate with the aggressor. This is only something you learn while practicing with a knowledgeable instructor. Do not attempt these holds on your little brother or sister without instructor oversight. 1. Distance Management: From a standing position, always be at least 2 arms length away from a potential aggressor. This keeps them from being able to strike you, grab your hair or clothing, or wrap you up and tackle you. If you manage the distance, you can close the distance on your terms. If you find yourself on the ground, you need to learn how to manage distance with your legs and minimally execute the “technical stand-up” which is the proper way to stand up when grounded to avoid further damage. 2. Clinching: Most physical altercations have some form of clinching. It will be important for you to know how to establish the clinch and to defend from somebody clinching you. Headlocks and wild punching often lead to an opportunity to establish clinching and gain control. The person that gets control in the clinch can take the action to where it needs to be controlled which in most cases is the ground. 3. Kimura Control (Gyaku ude-garami): A powerful hold that can disable aggressive behavior. It’s also a common defense to being grabbed from behind in a bearhug. It can also be applied from several other positions which makes it a versatile weapon. 4. Choke Defense: Defending a persons choke if vital to survival. Whether its one arm or the two arm variety. Turning the tales into a clinch is a nice response to this hold. Even if you find yourself in a mounted or scenario from the Closed Guard, you need to know what to do. 5. Hair Grab Defense: Once you know the anatomy of the elbow and shoulder joint, you will understand that people that grab your hair are giving you a gift to arm lock them (elbow joint) or shoulder lock them (shoulder joint). They will think twice before doing it again….ever. 6. Arm drag to Backpack (to Rear Naked Choke or Mata Leon): The arm drag is more of a fundamental wrestling move than it is a JiuJitsu move, but it’s effectiveness can not be denied. The idea behind the arm drag is to move the aggressor’s arm past your center line so that you can quickly move to the clinch position or straight to their back which, in JiuJitsu, is arguably the most dominant position to obtain in a confrontation. Your opponent can’t hit you or control you, but you can strike them or choke them using the Rear Naked Choke or Mata Leon. 7. Mount Escapes: This is the first technique in this list that is on the floor. This is a worse-case scenario for you where the aggressor has pinned you on your back with their legs to you sides, mounted on top of you. They can strike you but you can not strike back. Escaping this position is much easier than you may think. In fact, this position is so important to learn in the Gracie Combatives program that it is the first move they teach you. 8. Mount Control to Twisting Arm Control (also known as Gift Wrap Control): My personal favorite position. It’s called the gift wrap for a reason. When you establish it, it will feel like you’ve been given a gift. In essence, the aggressor will lose the ability to use one limb while you control it, keeping their head exposed for strikes, even though you won’t need it. To get here, you need to establish position first, usually from the mount. 9. Americana Arm lock (ude-garami): One of the go-to submission holds when you establish either the Mount or the Side Mount. It’s, essentially, the reverse of the Kimura shoulder lock, although it targets the shoulder joint similarly to the Kimura. 10. 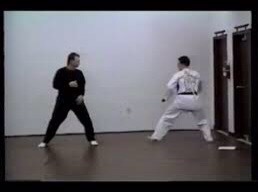 Guard Control: In a confrontation, you really do not want to end up on your back, on the street or anywhere else. But in the unlucky event that you do, there are ways to perform every single one of these moves above from this position. While we would prefer being able to complete them in the stand up or the top control positions, it is comforting to understand the capabilities available to you from the Guard. Why do I like these specific moves? 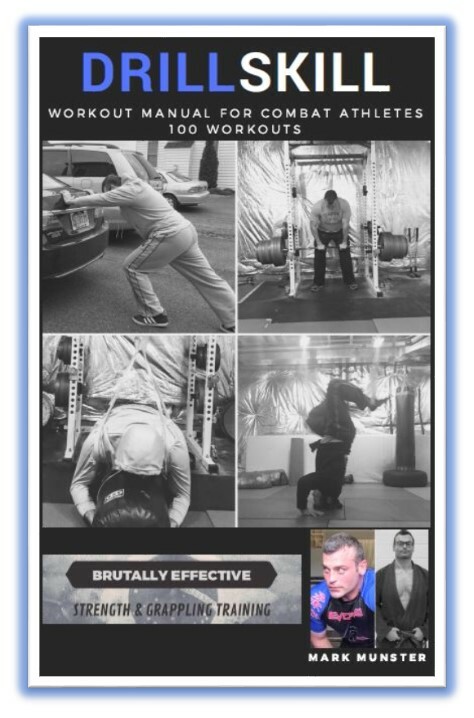 They are versatile enough to establish control or correct the difficult situation (read execute a joint lock or stranglehold). The majority of them are performed while still standing. No striking is needed to control the aggressor. All of these techniques rely on leverage much more than strength, which is the foundation of Brazilian Jiu Jitsu. Do not practice these techniques on your own! Find a reputable JiuJitsu Academy near your school to begin training. Preferably one that has a robust Self-Defense curriculum that is rooted in Gracie or Brazilian JiuJitsu. If you need help finding a school let me know and I’ll be glad to help you. If you live in Montgomery County Maryland, check out Evolve Academy which is the only Gracie Certified Training Center in Gaithersburg, MD. Begin implementing the Tools You Can Sharpen Today……today. Contact me to learn these techniques (local inquiries only to Poolesville, MD).